Of these, 43% said they had increased prices in the last year for visitors or staff, or both. 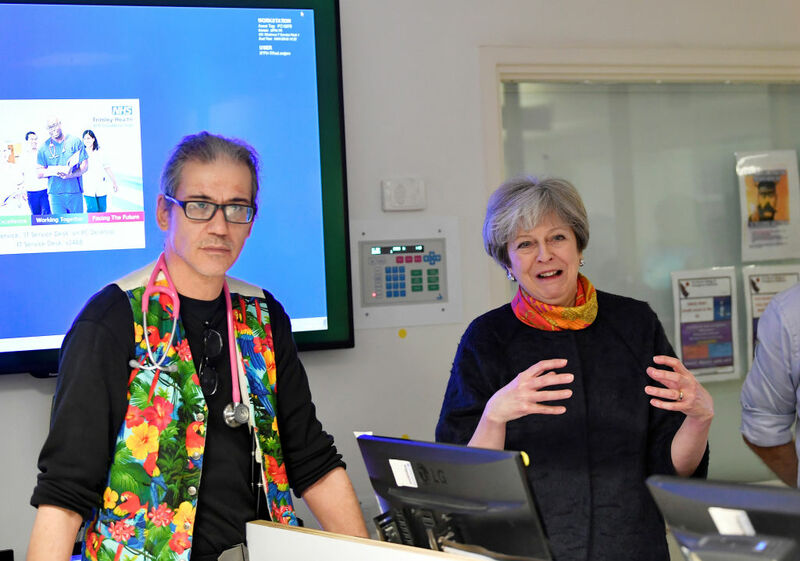 Prime Minister Theresa May at Frimley Park Hospital, part of one of the highest earning trusts, earlier this year. The trust made £1,287,322 from parking in 2017/18. Tory ministers promised to sort these charges, they never did.